Kimberlin Library has around 700 computers complemented by over 70 in the Eric Wood Learning Zone, 31 in Hugh Aston Law Library and 70 in The Greenhouse – both PCs and Macs are available. These computers give access to Microsoft Office, Internet access via a range of browsers and much more. There are a number of computers loaded with specialist CAD software such as Adobe CC, AutoCAD, Solidworks and Rhino. Log on to these computers using your P number (on your student card ie: P0123456) as a username and your date of birth (until you change your password) in the following format: dd/mm/yy as the password. Laptops are available for loan through our self-service facility for up to 2 hours. When you return the laptop, ensure to connect it to the charger. If a Laptop is not fully connected to the power cable and the locker door fully locked, the Laptop will remain on your account and fines applied as this prevents other students from borrowing it. You can find IT support at the First Floor Information Desk in the Kimberlin Library. For times when the Information Desks are staffed see here. 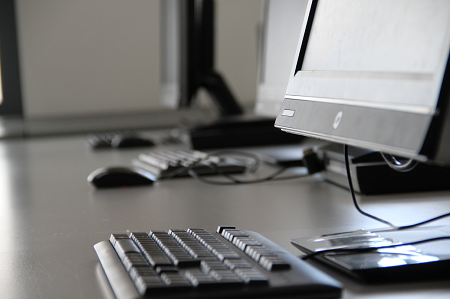 Find more information about DMU IT services and support on the University webpages. Just swipe your student ID card at any printer on campus and touch the icon for print, copy or scan. How much does printing & photocopying cost?